Enjoyed your time at Garfish? 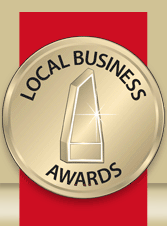 Vote in the 2014 local business awards! Ok, it’s fair to say that we like entering a variety of restaurant awards each year. Getting recognition from winning an award is very well received by the team at Garfish, one small thing that keeps us motivated to consistently do our very best. If you’ve enjoyed an experience at Garfish in the past 12 months, we’d very much appreciate you taking a few moments to vote in the 2014 Northern Beaches Business Awards. It takes just 4 or 5 minutes to complete the form. As an extra incentive you could win too! Just for voting you’ll be in the running to win a Sony Playstation 4! Visit the online voting form here.